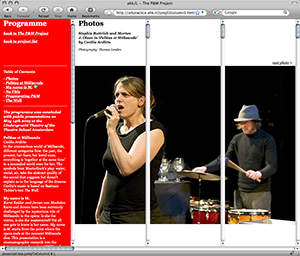 The goals of the Research Group ahk/L is to stimulate the processes of artistic research in multidisciplinary and interdisciplinary contexts and to encourage a sustained discourse among the various art disciplines in the Netherlands. 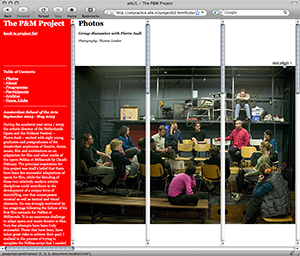 Current and future projects that make an investigative contribution to the future of the arts are immediately initiated and constantly updated on the website. 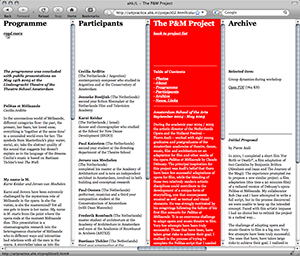 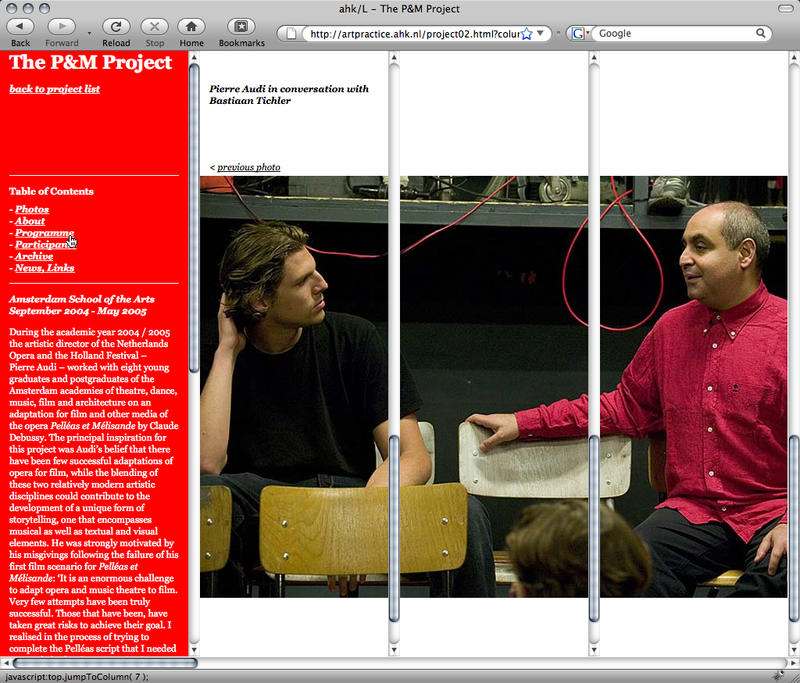 With its project containers artpractice.ahk.nl offers access to an archive of past, present and upcoming events realized in collaboration with different institutional and artistic partners. 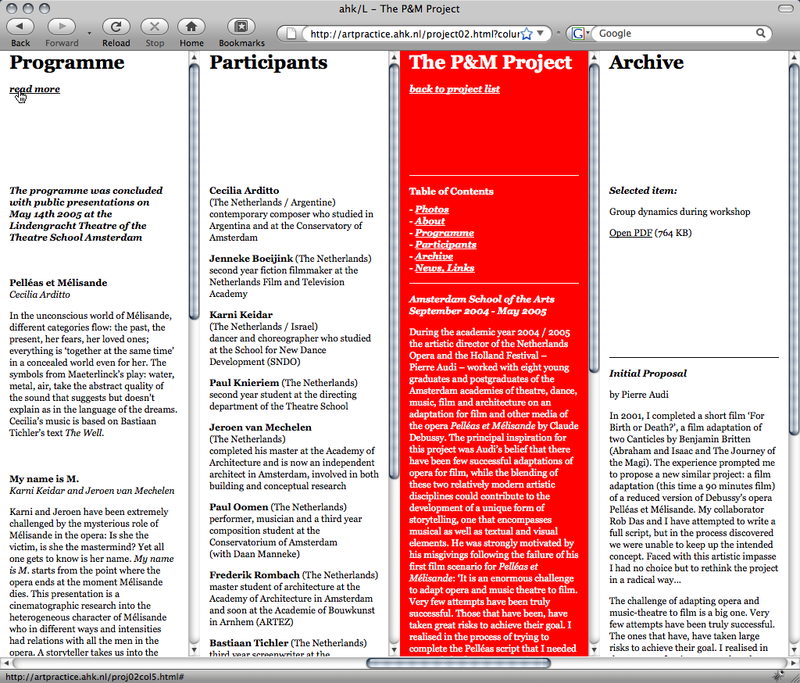 The vertical columns provide background information on the highlighted item and by this impart detailed insight into the dynamics of the department’s network. 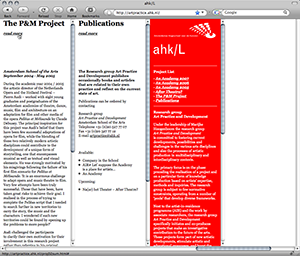 The project list in the red navigation column allows horizontal navigation through the container line-up and positions the desired topic into the left margin of the browser window. 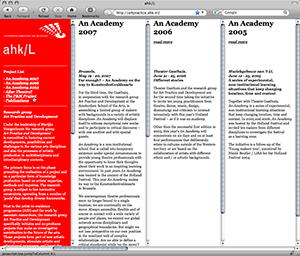 Information ranges to a maximum of three multiple levels. 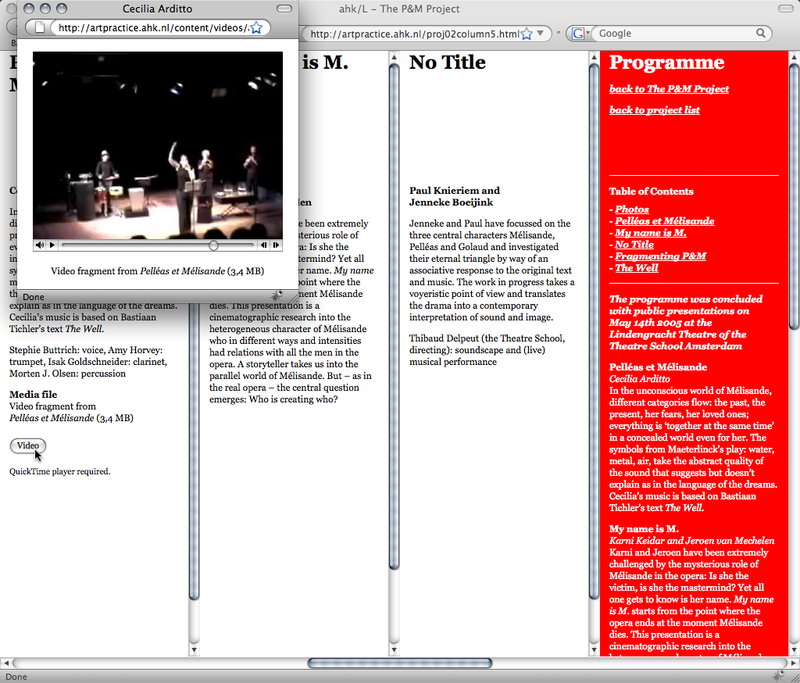 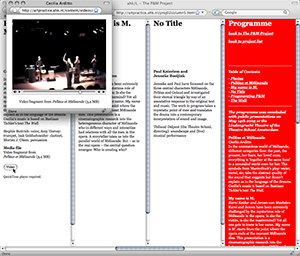 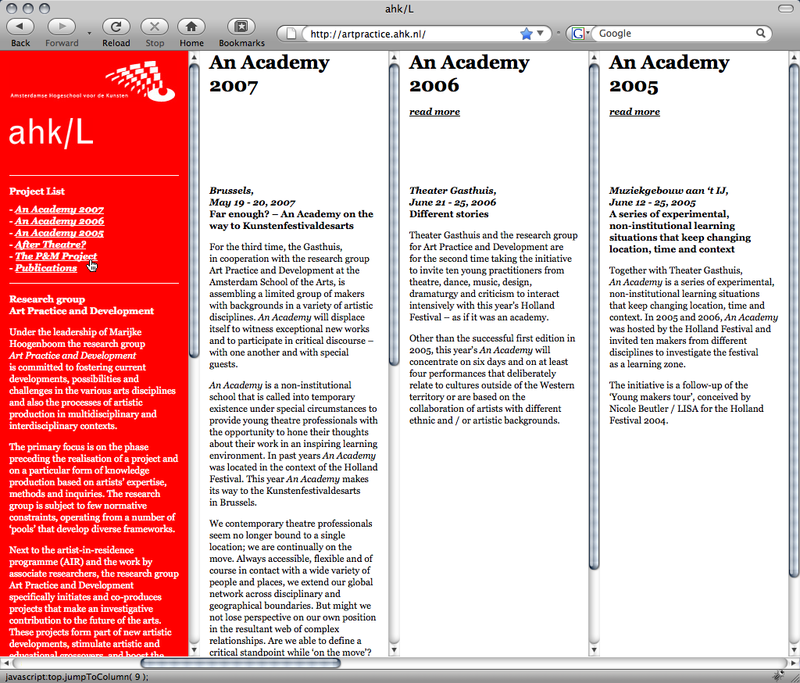 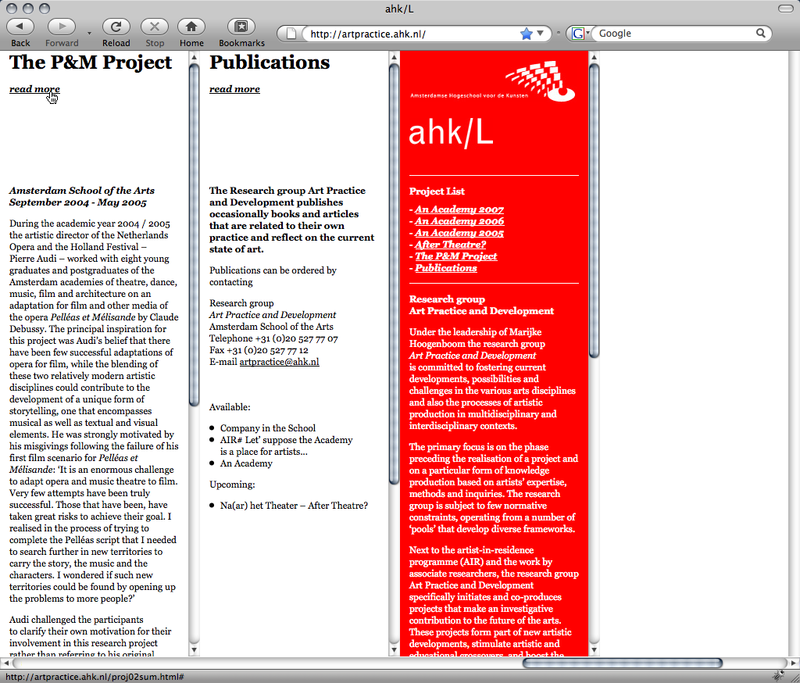 The artpractice.ahk.nl navigation interface is based solely on the so-called “windows metaphor” with only displaying an alterable cut-out of information. This allows for an endless horizontal expansion of the content containers and enlarges the possibilities of storage.